Don't worry if you are short on closet space. 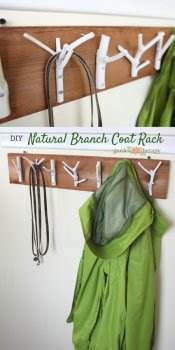 Use free hall tree plans or coat rack plans to create an extra place to hang coats, hats or mittens. 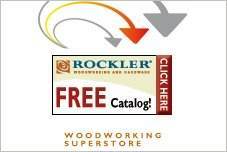 Simple plans that are perfect for a beginner or advanced plans for a craftsman are available, along with materials lists and detailed instructions. 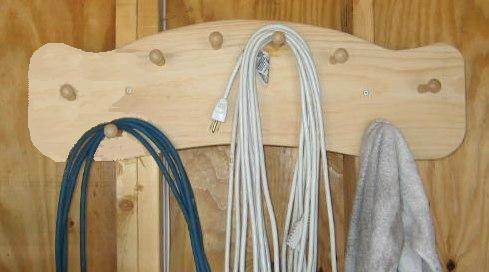 Build a simple one-piece board with metal hangers that takes just an hour to finish. Build an entryway storage unit or a beautiful hall butler, complete with seat and oval mirror. 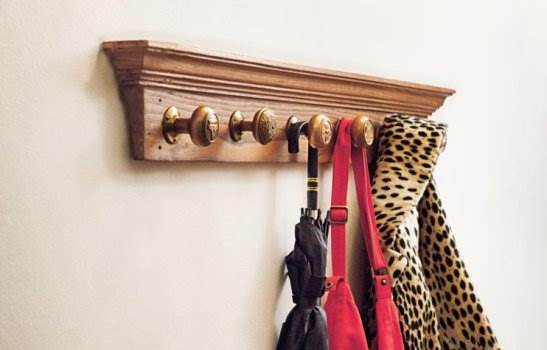 Many of these coat rack and hall tree plans use commercial knobs and drawer pulls that are easy to install and are available in a wide variety of styles. 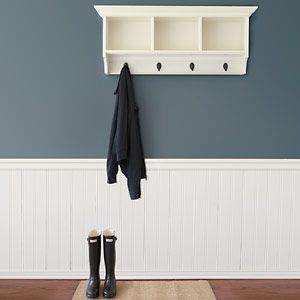 Use clear pine and paint with cheery enamel to add a touch of color to your walls, or select a handsome hardwood and finish with satin or gloss urethane to bring out the natural beauty of the wood. 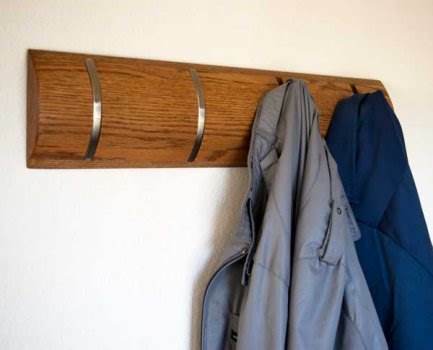 With just a piece of wood, some screws, tree branches and some spray paint you can easily make this unique coat rack. 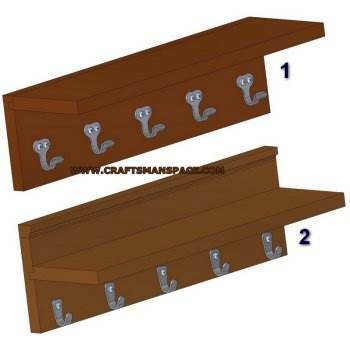 Create a place for hanging coats and jackets plus an attached top shelf for placing other items such as gloves and/or a muffler. 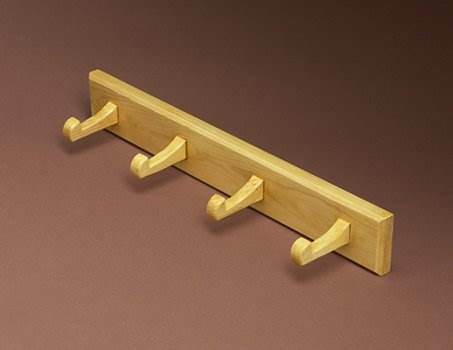 This vintage style wall shelf has five pegs for hanging coats and other apparel plus a handy upper shelf. 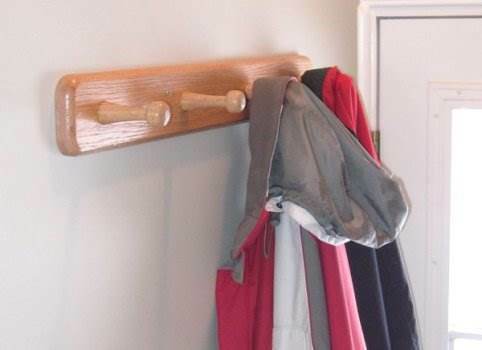 This hat and coat rack is built out of turned-wood and can be made using these detailed instructions. 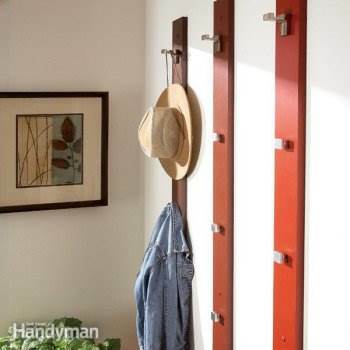 Keep your home clear of clutter by building this handsome wooden shelf with metal hooks for hanging jackets and hats. This cool cat fits perfect in a kid's bedroom and helps keep back-packs, winter hats and jackets off the floor. 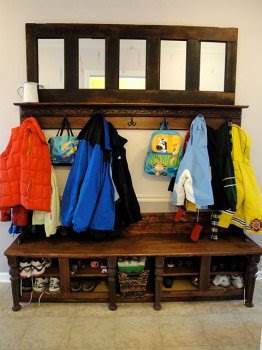 Build a coat rack with three cubby holes and a top shelf for additional storage anywhere in the home or garage. 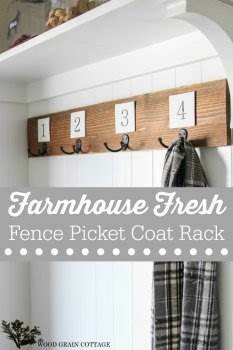 Here are step by step instructions along with pictures to help you make this simple coat rack out of a piece of pine wood. 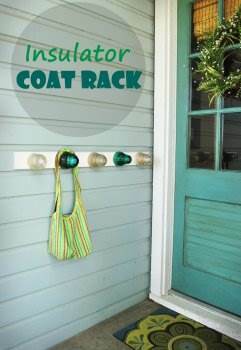 Turn a few colorful insulators and a piece of wood into a unique place to hang a purse, jacket or stocking cap using this coat rack plan. 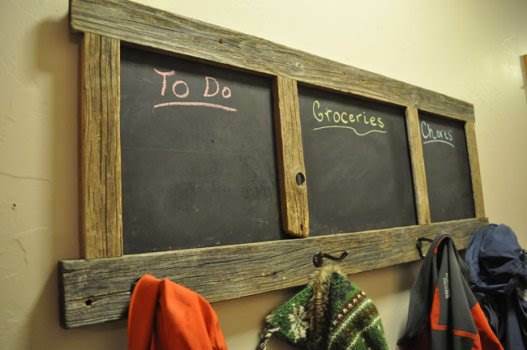 Chalk board paint, pine wood and some metal hooks come together to make this multi-functional coat rack. 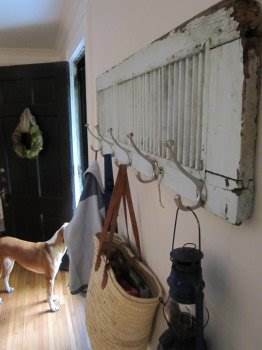 Turn a wooden louvered shutter into a coat rack by simply screwing on some metal hooks and hanging it on the wall. 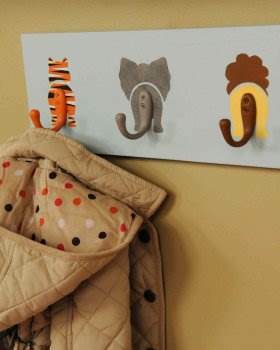 Create this adorable coat rack using animal templates for the perfect addition to a nursery or toddler's bedroom. You can easily turn an old door with recessed panels into a coat rack with mirrors for entry or mud room. 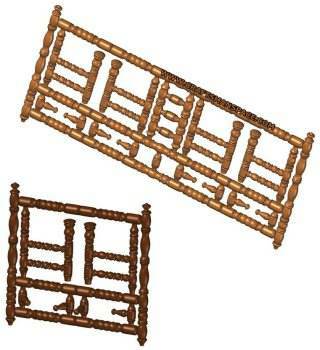 This project uses modeling clay and a wooden fence picket to create a charming hook rack with country appeal. This is the perfect project for the advanced woodworker as it uses several power tools for a sleek and attractive finish. Enjoy creating a simple coat rack using your whittling talent and this easy to follow tutorial. 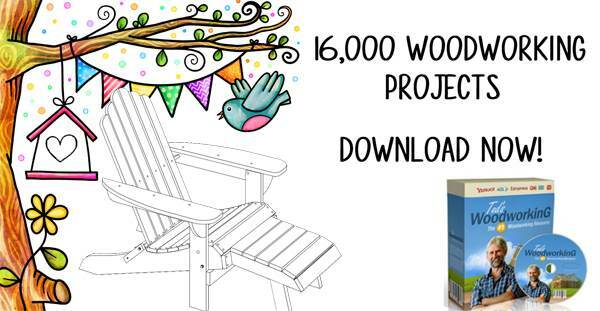 This project has instructions and pictures on how to build the wooden pegs and the back support. 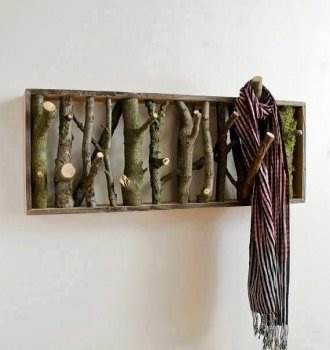 Tree branches are framed in wood to make a rustic coat hanger that is perfect for a cabin setting or even your home. 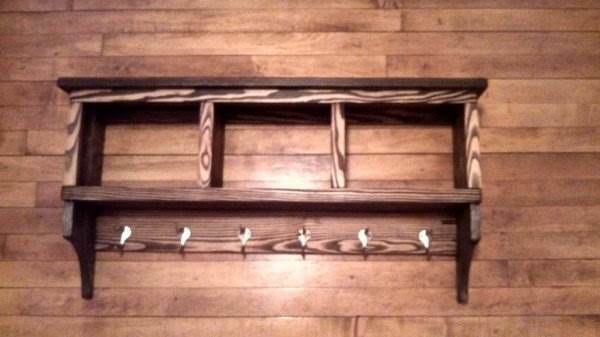 Re-purposed wood and door handles are used to build this wall mounted rack that will add to any room's decor. 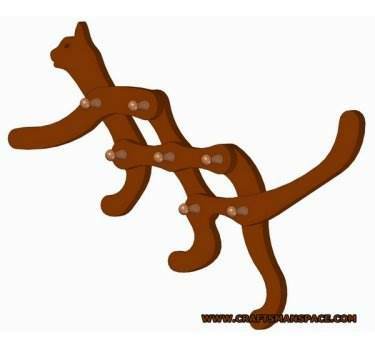 This is an easy to build coat and mitten rack and will add to your homes decor. 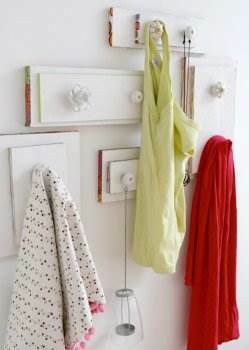 Build this very attractive doorknob coat rack that has a shelf area for knick knacks and pictures. 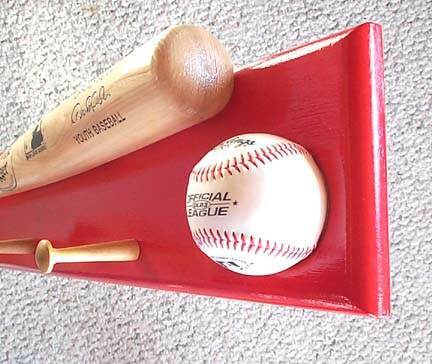 This baseball coat rack sports a bat and ball and looks great in an office or kid's room; plus it's fun to make.